Mobility Smart, a smarter way to buy mobility aids, healthcare products and so much more…. Greenpark Productions Ltd (est. 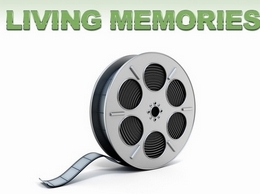 1938), in association with Digital Services for Care CIC is now using its extensive film archive of programmes relating to UK social and industrial history from the 1940s onwards, with a small volunteer team, to create the ongoing "Living Memories" series of audio visual resources on DVD. 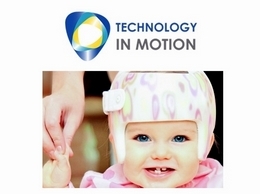 Technology in Motion are industry leaders in Orthopaedics. Find a UK clinics & physicians to help with conditions like Foot Drop, Knee Bracing, Plagiocephaly and Brachycephaly in babies, also correctional treatments for ACL Injuries and sports injuries. 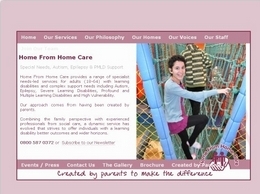 Home From Home Care provides a range of specialist needs-led services for adults (18-64) with learning disabilities and complex support needs including Autism, Epilepsy, Severe Learning Disabilities, Profound and Multiple Learning Disabilities. Whether you''re a healthcare professional or seeking mobility aids for your home, 1st Call Mobility offer a range of products from scooters to bathing and walking equipment. 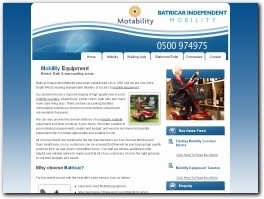 Batricar Mobility are a leading company providing a range of quality mobility equipment and walking aids throughout Bristol, Cardiff and surrounding areas. 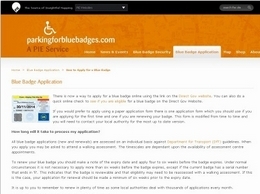 Mpie offers helpful information and advice in order to make your blue badge application simple and hassle free. They also provide handy products to make day to day driving and parking easier. Allied Mobility provide a bespoke service offering a range of wheelchair adapted vehicles to suit you and your individual needs. SNT Health Supplies believes in offering quality products at affordable prices, meeting the needs of our clients and supplying quality products and after sales service. 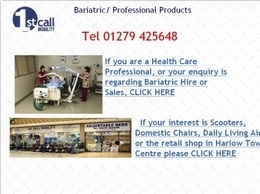 We are the suppliers of Wheelchairs, Patient Hoists, Mobility Aids and Lift Chairs. 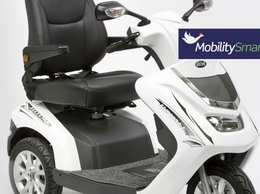 https://www.aids4mobility.co.uk is one of the UK’s leading suppliers for the best mobility devices and equipment for disabled and elderly. Leong Keng Hong Arthritis and Medical Clinic provides a wide-range of services including the diagnosis and treatment of diseases that affects the joints and connective tissues. Our medical hub offers the best kind of arthritis treatment for our patients. At Atlantic Eye LLC, all of our services are provided on site, from your evaluation, surgery or treatments to your follow up. We specialize in better vision without the hassles of glasses or contacts. Smart Scooters is an online shop to buy cheap disability mobility scooters and chairs in London, UK direct to door. Now push out manual chairs let innovate automatic mobility scooter. 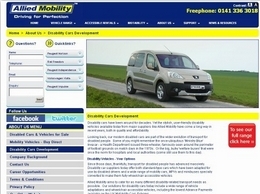 RAC APPROVED DEALER | Great choice of wheelchair accessible vehicles for sale or hire. Friendly, experienced, discrete staff offering FREE home demonstrations nationwide and try before you buy and FINANCE options! Long-term and short-term hire available!